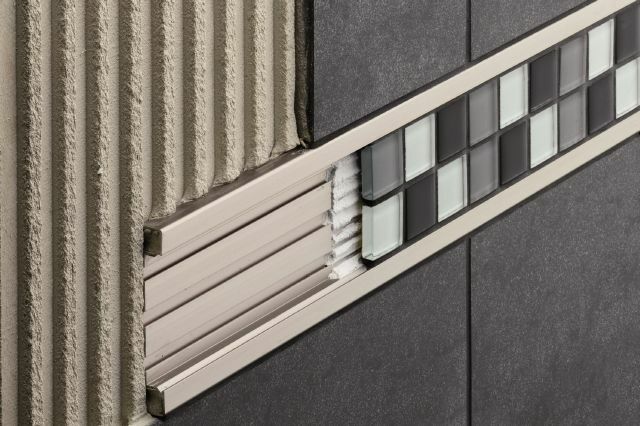 The square edges of the QUADEC wall profile provide a clean, modern look, while the QUADEC-FS double-rail profile frames the decorative accent tile. 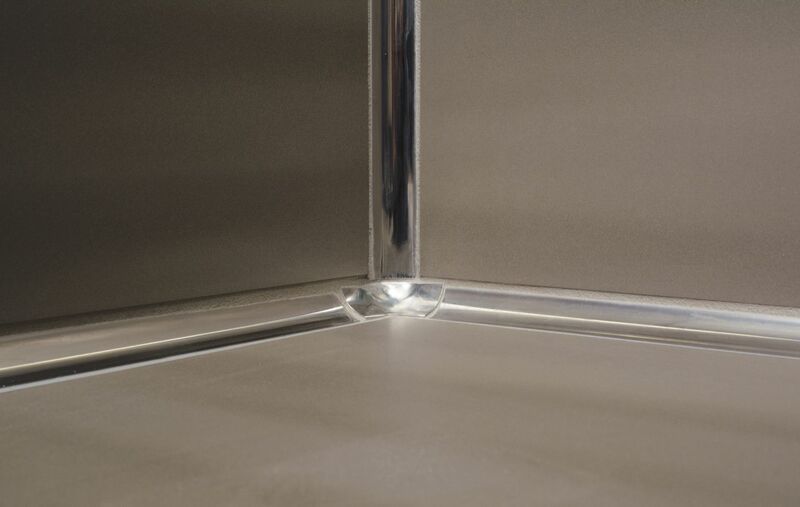 DILEX-HKU cove-shaped profile is used in the inside wall corner at the floor-to-wall transition. 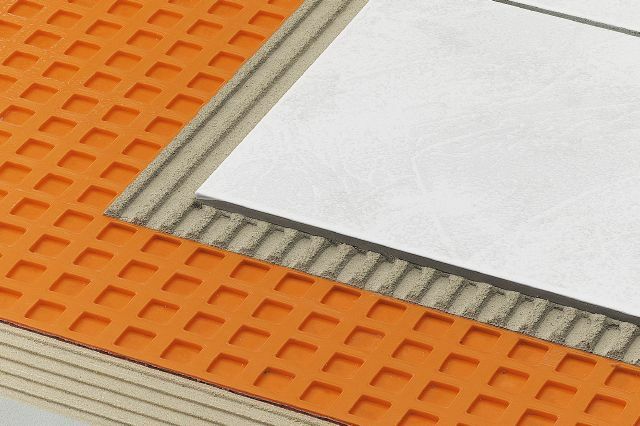 Tucked beneath the tile is the DITRA uncoupling membrane, providing protection from cracked tile and grout. 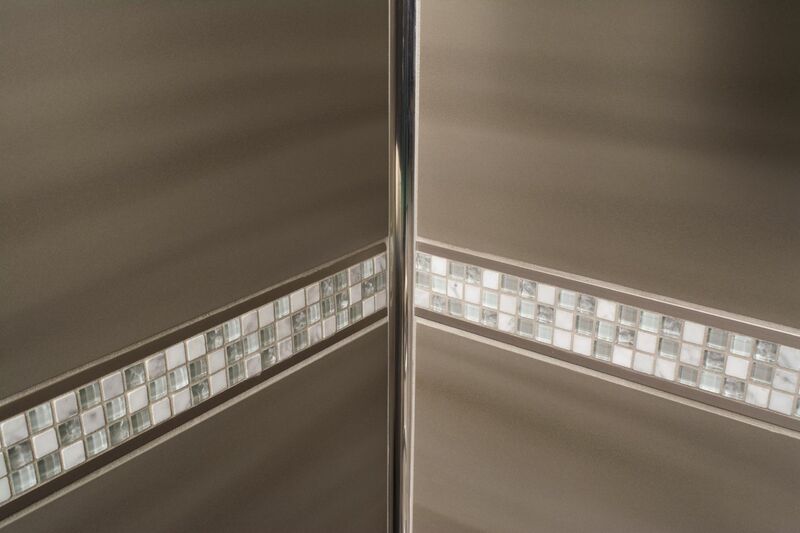 The QUADEC-FS double rail profile is the ideal choice for this wall as it allows for the incorporation of a light blue mosaic tile, providing a complementary splash of color to the room. 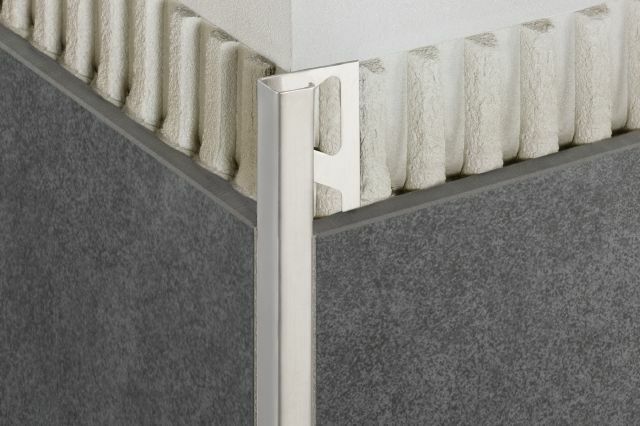 DILEX-HKU cove-shaped profile is used in the inside wall corners. 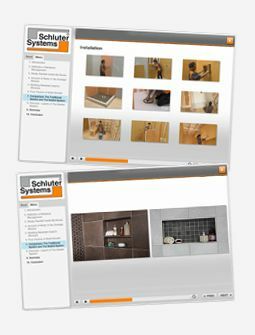 QUADEC-FS frames the decorative strip of tile. 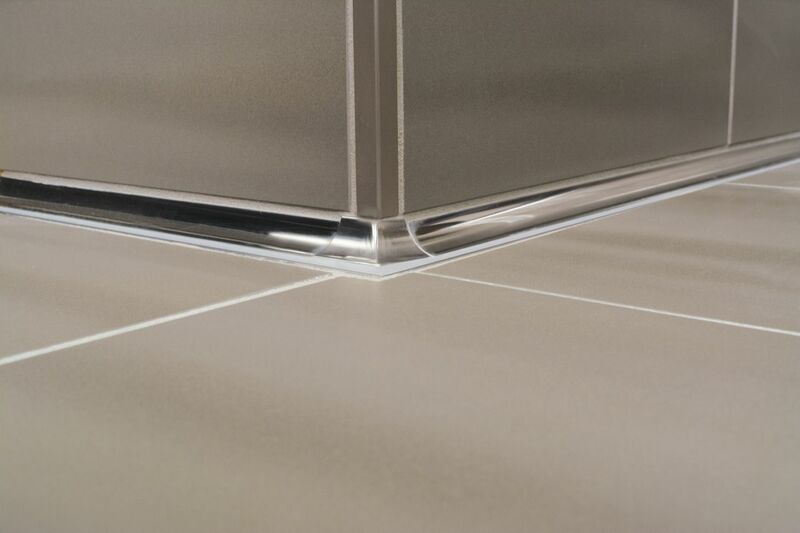 QUADEC square-edge profile tapers off exposed tile edges at corners and peripheries. 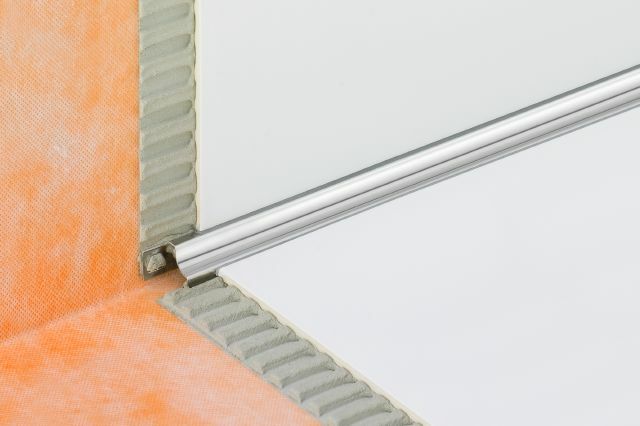 Ideal for areas with strict hygiene requirements, the stainless steel DILEX-HKU features a cove shape that is easy to clean. 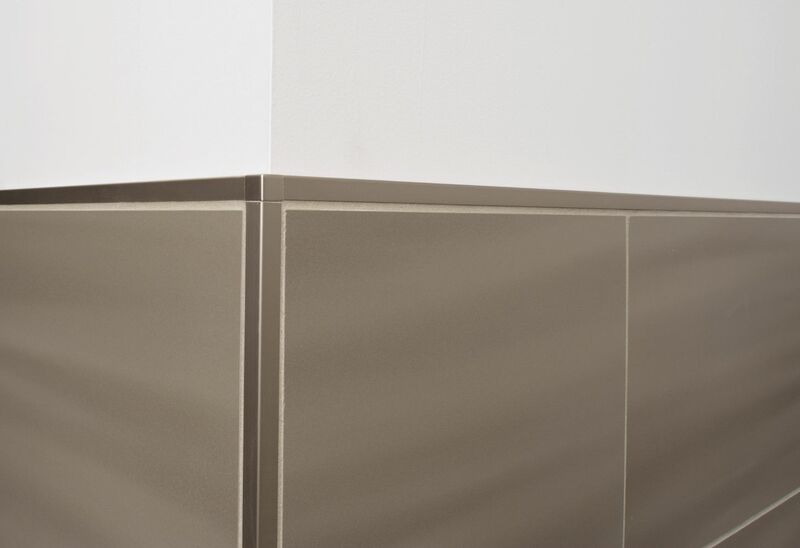 QUADEC provides a clean and modern finish to the outside wall corners while DILEX-HKU provides an easy-to-clean transition between the floor and walls.